Offering unlimited style and unparalleled comfort, carpet remains one of the world’s favorite ways to floor. A favorite in both the residential and commercial sectors, carpeting has the ability to immediately transform your space, while cushioning your tired feet. At Avant Garde Carpet One Floor & Home in Waldorf, MD we specialize in carpeting and are always here to help you find the perfect product, based on your tastes, budget, and needs. 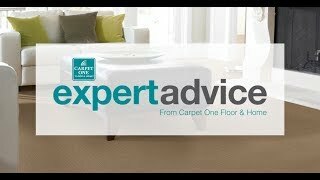 Let’s further explore carpeting and why it just might be the perfect floor for your business or home. Carpeting is always warm and comforting, bringing instant style and ambiance to every space it graces. Today’s carpeting choices include a wide variety of products aimed at busy families, pet owners, and those looking for hard-wearing flooring for commercial settings. Wherever you choose to carpet, you’ll enjoy an instant transformation. With more and more variations appearing on the modern market, carpeting offers us a huge range of attributes to choose from. Not all carpets are built the same, so as you shop it’s always wise to consider your functional requirements before you make any permanent decisions. A major deciphering factor in your rug’s performance is its carpet pile. Carpet pile – or the fibers that comprise your rug- determines how your carpet will wear over time. Pile can be made of both synthetic and natural fibers. Many of the synthetic fibers tend to be softer. Synthetics like nylon and polyester are quite durable. Natural fibers like wool are rougher to the touch, but are sustainably sourced and also considered hypoallergenic. Frieze or “shag” carpet pile is great for those fond of trendier styles, since these rugs have unruly, twisted yarns. Shag is extremely soft, and is great for casual spots. Level loop carpet pile is great for rooms that get lots of foot traffic. Its shortened loops are uniform in appearance, making this wonderful all-purpose carpeting. Patterned carpet pile is great for formal settings. It has pile that’s painstakingly looped and trimmed to create intricate patterns. Plush carpet pile is great for highly formal spaces, especially those that don’t get a lot of traffic. It is luxurious to the touch, with fibers that feel a lot like velvet. At Avant Garde Carpet One Floor & Home we carry one of the state’s most comprehensive collections of carpets. With plenty of choices to ponder, here you’ll find all your favorite brands, alongside some Carpet One exclusives you’re bound to love. As proud members of the nation’s largest cooperative of independent flooring stores, we can offer you unbeatable buying power, friendly and helpful service, and fair prices. When it comes to your new carpeting, what’s underneath is even more important than what goes on top. Your carpet’s cushioning is your secret weapon for extending the life of your new rug. Soft on your feet, yet ferocious against everyday stains, Tigressa carpeting is a beautiful, ever-enduring family of carpeting products designed for busy families on-the-go.